Give a warm welcome to Ruby! 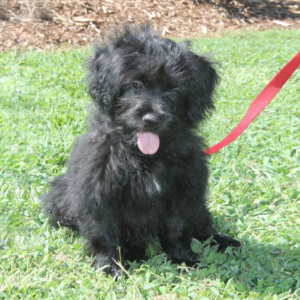 An adorable 4-month old Mutt-i-gree, Ruby has a love for kids and an eagerness to work hard. She has made a big splash at the Harris Middle School in North Carolina. Every morning, Ruby greets the students and each afternoon, helps to dismiss students who wear a big grin on their faces after petting this sweet pup. Each day in her new school has been a productive one and we hear she has adjusted to her new role remarkably quick. We look forward to seeing all the wonderful progress Ruby, her fellow students and staff make throughout the year!